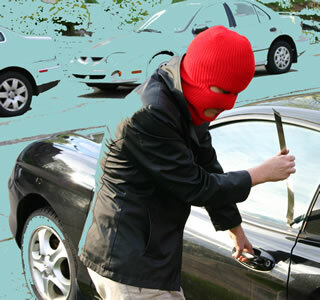 Security at Church - A Church Security Resource: Car Break-In, Shots Fired! Church parking lots are easy target for those who have an itch for grand theft auto. Just think about it. The bad guys know what time church starts and what time church ends. Unlike a shopping mall with people coming and going as they choose, churches provide an open window of opportunity for those seeking to commit a crime. What is your church doing to protect itself against thefts in your parking lot? Do you have a parking team that watches over the property during the service? Does your security team do rounds of the parking lot periodically? Even if you are a smaller church with limited resources, you can still assign someone to randomly look at the parking lot two or three times during your meeting. Another benefit is that this keeps down the amount of random advertisements that people tend to place on your car window. Prior to my church monitoring the parking lot many years ago, when would regularly be visited by aggressive advertisers who wanted to take advantage of all the cars parked in the lot. This only led to unwanted flyers and a lot of trash blowing all over our property.